The nominees for the 2015 Golden Globes were announced this morning. In addition to yet another year of snubs for the amazing Tatiana Maslany and the cast of Orphan Black, there is another show that is noticeably missing from the nominees this year: AMC's The Walking Dead. The Walking Dead has only gotten better with each new season, and it certainly deserves to start getting recognition from the likes of the Globes and the Emmys. 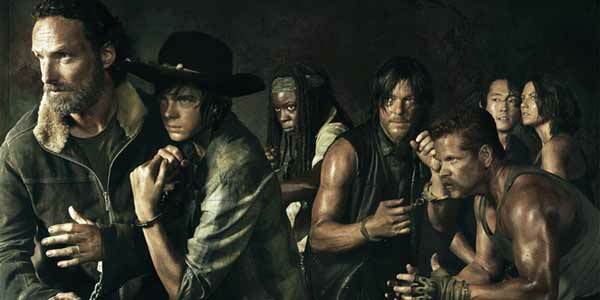 Let’s talk about why The Walking Dead needs to start winning some awards. Andrew Lincoln has managed to create such an interesting and engaging lead character in Rick Grimes. It’s been so exciting--and a bit tragic--to watch him transform from the moral, frightened cop to this stone-cold, badass walker fighter. 2014 has been a year of extreme change for the group--and Rick in particular. After a great deal of loss, betrayal, and tragedy, Rick has truly adapted into quite the predator in this new, harsh world. Because the show began with Rick waking from his coma, we have gotten to learn about this new world through Rick's eyes, which makes his journey much more impactful for the audience. Rick’s come a long way, and Lincoln has made Rick’s journey a believable and engaging one, deserving of a best actor nod. It says a lot about the show when any character death is a devastating one. Each character brings something incredibly important to the dynamic of the show, and even the show’s villains help create a show that keeps you on the edge of your seat. It can be hard to pull out one individual supporting character that deserves an accolade because the entire cast works as such a cohesive unit. However, the show has done some amazing things with its supporting cast. Avoiding spoilers here, 2014 has been a huge year of growth for characters like Carol, Beth, and Carl. And the extreme loyalty of the fans to characters like Michonne and Daryl prove that the heart of the show doesn’t not rest solely on Rick Grimes’ shoulders. The Walking Dead deserves a little supporting actor love, too. Normally zombie shows rely heavily on the gross-out factor and scares that come with a zombie apocalypse, and the writing can be almost an afterthought. That is certainly not the case with The Walking Dead. The writers on this show painstakingly develop plot and characters, and have a unique ability to crush the heart of fans as frequently as possible. They also have created some of the best villains on television (The Governor? Gareth?). Even beyond that, they are able to sneak in some great moral questions while the audience is distracted with some awesome walker gore. Even in Season 5, the show is fresh and incredibly complex. Best drama, anyone? 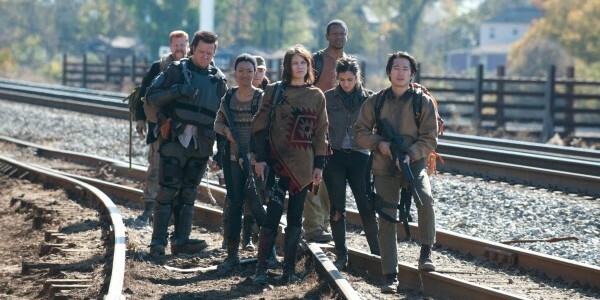 The Walking Dead really only gets better with age. You’d think after a few seasons, they’d run out of new stuff to talk about and experience, but The Walking Dead continues to find new ways to develop characters and bring in new conflicts. For a show about the end of the word as we know it, it is packed full of rich characters and compelling story lines. The characters are finding themselves in a place where they don’t really have a purpose anymore, and they have to decide what the rest of their lives will look like--and what a “good life” looks like in this new world. It’s a huge story line and it’s only going to grow the show and the characters. I can’t wait to see what unfolds. Again, is best drama a little out of the question? To recap, this is really one of the best shows on television. The actors are amazing, from lead to supporting cast. The writing is fresh and engaging, and the story keeps you guessing from week to week. Even the makeup is amazing. 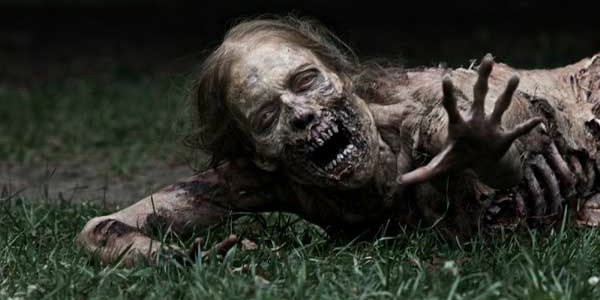 I mean, can we just take a second to appreciate how the makeup crew manages to dream up new, utterly disgusting walkers? This show has managed to make a story about zombies into a dynamic, exciting, tragic, and incredibly dramatic show that is still fresh after all of these years. All the awards really need to go to The Walking Dead.